What will your dog learn today? 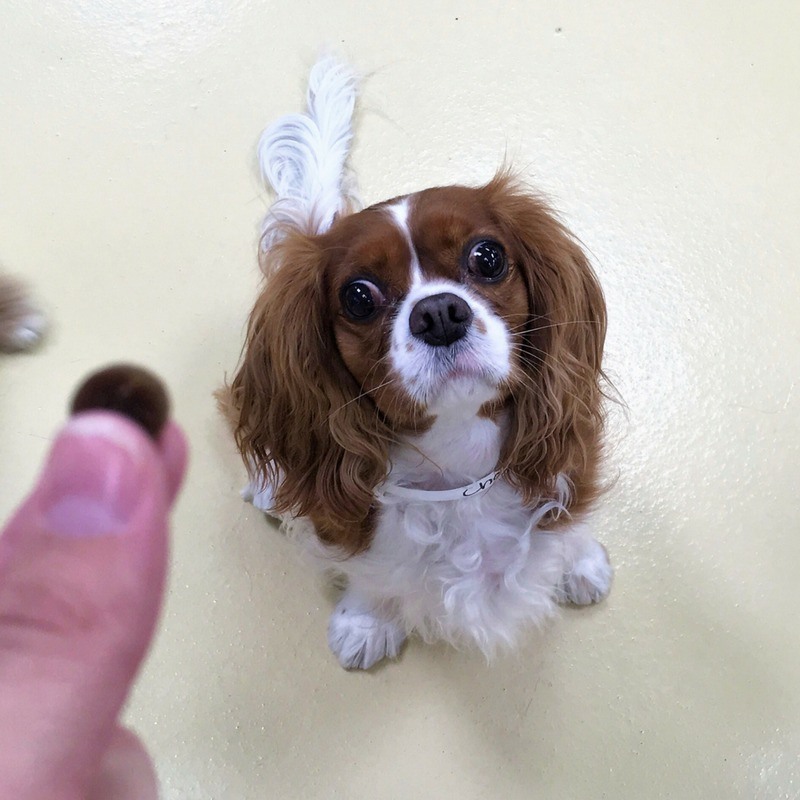 Our complimentary Quick Train Sessions are offered twice daily at both of our locations during doggie daycare! Every morning and afternoon, our certified trainers head out onto our play floors to work on certain commands and behaviors in the group play environment. Some of the commands and behaviors taught include "sit," "stay," "come," "down," "wait for the gate," and fun tricks like "shake." We even bring out fun props like skateboards, hula hoops, ball pits, and FitPAWS equipment. These items help build confidence in addition to being both a mental and physical exercise! 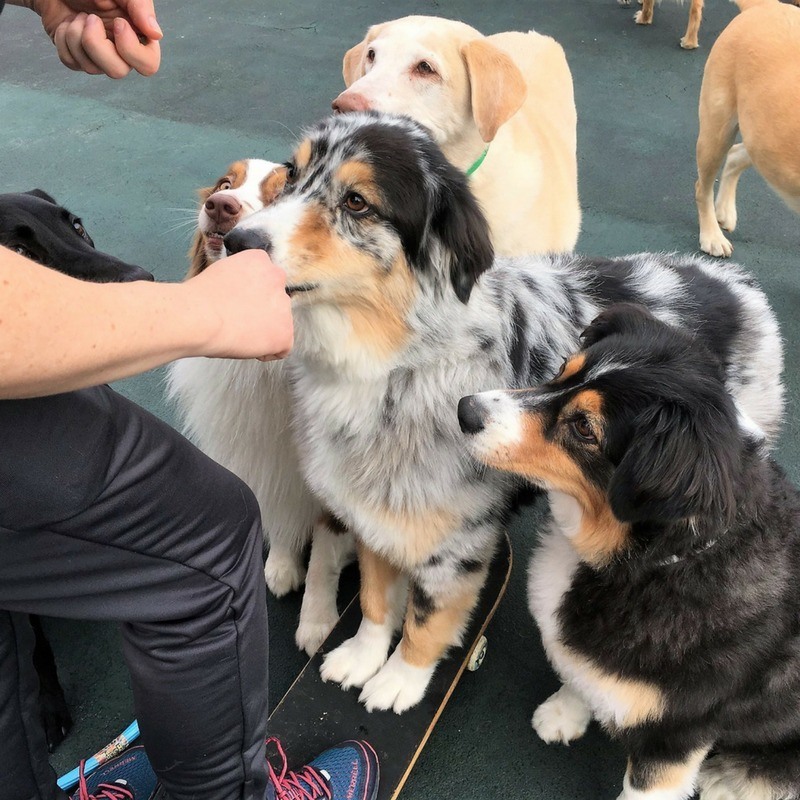 Quick Train does not take the place of a structured training program, such as group obedience classes, private lessons, day school lessons, or Board & Train programs. These sessions are usually short and are meant to supplement regular training. What are the benefits of Quick Train? Quick Train helps build a closer bond between our team members and our Waggers. We do not show leadership through dominance and punishment, but rather through positive reinforcement training and consistency. 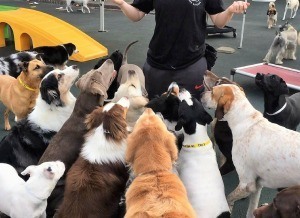 In addition, working in the doggie daycare environment increases your dog's patience, self-control, and ability to withstand distractions. 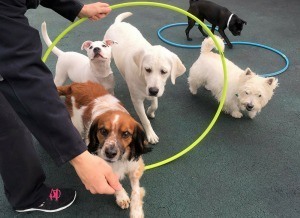 Quick Train gives our Waggers a chance to learn something new in the daycare environment - it's not all about chase and wrestle! What treats are used during Quick Train? We use Zukes Mini Naturals Salmon Treats. Dogs with food allergies may opt out of our Quick Train program. 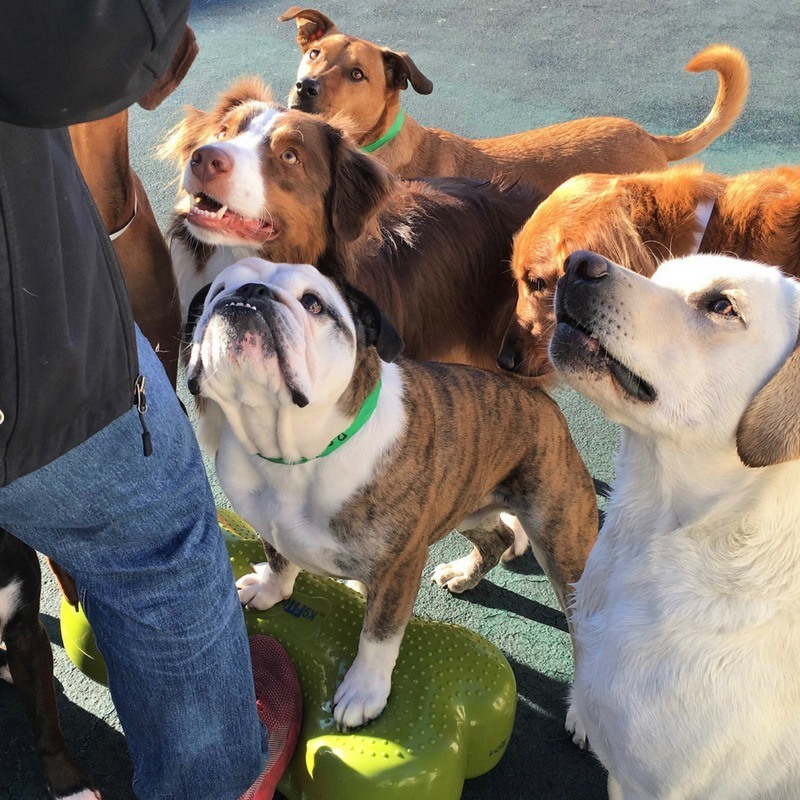 Most dogs will not receive more than 5-10 small Zukes in any given day of doggie daycare.